Had I walked into a liquor store and seen Old Fitzgerald I am not sure it would have been a bottle I would have picked up or even glanced at. 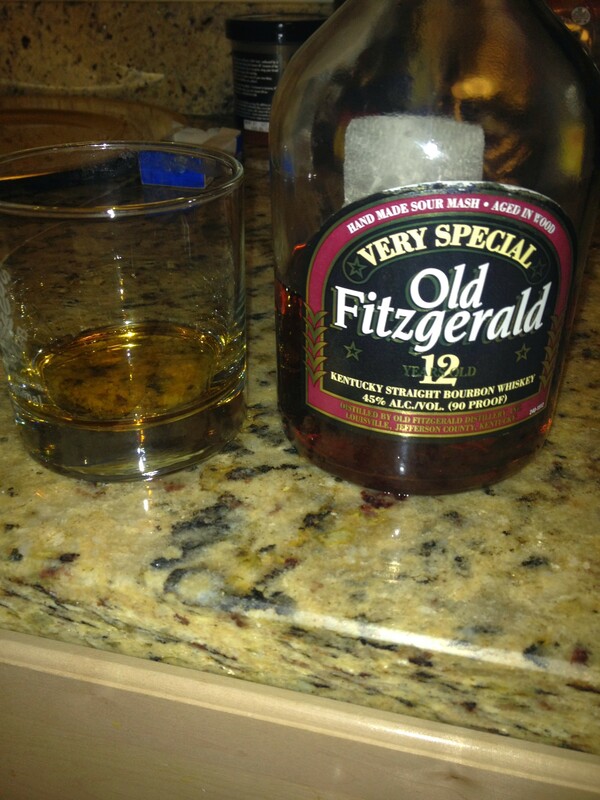 A friend of my boyfriend introduced me to Old Fitzgerald 12, and even when he showed us the bottle I didn’t think much of it. I am glad he did share a taste of it with us because the taste was definitely surprising, in a very good way. Old Fitzgerald is a brand that has been around for over 120 years. It was first produced and sold exclusively for rail and steamship lines. The brand was at one point owned by Pappy Van Winkle and it was they who introduced the “Whisper of Wheat,” into the recipe. This bourbon is now owned and produced by Heaven Hill Distilleries in Louisville, Kentucky. I didn’t think this bourbon would have been as good as it was just based on the appearance. It absolutely let me perplexed on how I very much enjoyed it. It was smooth, sweet and pretty delicious. What’s even better, it’s affordable. This beautifully made bourbon is around $30-$40. If you are on a budget and want a very good bourbon product, then I highly suggest you try this one out. You can’t beat the price or the taste.